School administrators always have to keep one eye on the future, whether it’s the first day of a new semester or the bells are ringing for summer break. For schools with an outdated student information system (SIS), administrators have to make the difficult decision to either move into the future by investing in a new system or maintaining the status quo with their current program. 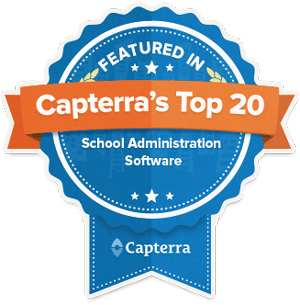 If your school’s SIS has limited functions, only works on campus or breaks down more than you would like, here are eight reasons that the time might be right to invest in a new student information system. Not so long ago, investing in a new SIS meant purchasing equipment — computer hardware, networking infrastructure, software, etc. This massive expense caused administrators to put off upgrades because they didn’t want to deal with the budgetary headache of purchasing and installing equipment that staff needed to be trained on. Choosing a modern, web-based SIS means freeing your school from outdated systems and old, proprietary equipment. Schools with an online SIS pay an annual or monthly subscription for their system, which is designed to interface with common consumer devices like laptops, tablets, and smartphones. The benefits of these systems usually include an improved return on investment (ROI) because of the expanded opportunities to boost enrollment and simplify payment processing (see #7 and #8). Most administrators are painfully familiar with the high costs of maintaining and supporting an outdated SIS. This is especially troubling with old systems that don’t have the functions of a modern student information system. Investing in a new SIS should make a host of new functions available to your teachers and staff, but administrators should consider which features will be the most beneficial and which, if any, aren’t going to be useful in a real-world setting. After all, some high-end SIS providers include more features than schools even need – many are too complex to understand easily, are not fully realized, or are not intuitive for users. The wide range of features might be a justification for higher subscription costs or charging extra for support. In contrast, alternative SIS at a lower price point can provide more personalized service, but might lack the components and infrastructure to manage a school’s data efficiently. 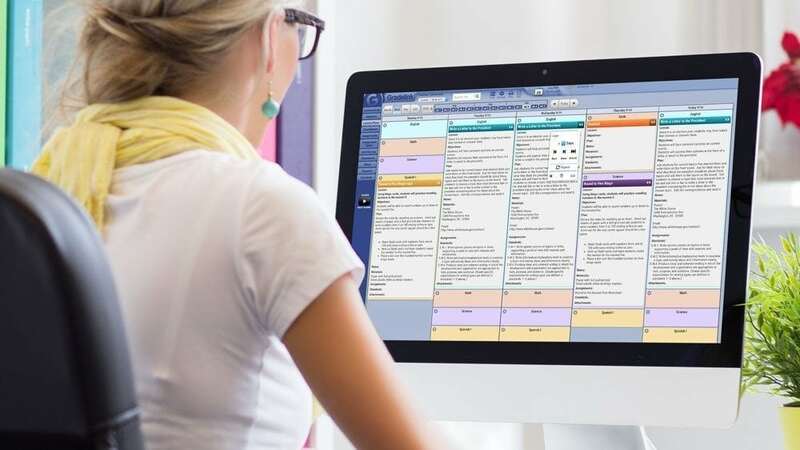 The ideal online SIS solution for most schools includes a number of useful features at a cost that won’t break the bank, and a responsive, highly rated support system for users. Ultimately, a system is only as good as the people behind the scenes who are maintaining and servicing it – more on that later. Learn more about what a web-based SIS can do for your school. Investing in a cloud-based SIS service means that your school will have a dedicated partner working to keep the system safe and your data secure. Since your prospective online SIS has a service team that is constantly working to improve the system, security mechanisms and policies are updated as often as necessary to keep your school’s information safe. Also, by moving to the cloud, your data is secured off-site, which is an improvement over an on-premises system. Storing all of your data in one location makes sensitive or confidential information more susceptible to a breach or a physical emergency like fire or flooding. Even if you’ve taken your new SIS for a test drive and think you have it all figured out, you never want tech support to be too far away. A cloud-based system is often easier to troubleshoot than an onsite system, which requires an onsite or on-call technician. An online SIS lets tech support securely access your system off-site and see what you’re seeing while walking you through the problem. Before investing in a new SIS, consider the level of support you’ll need and make sure that your contract includes enough coverage. Some SIS support systems are limited by business hours, or charge an additional cost for resolving technical issues. Look for reviews of your prospective SIS provider and even call the support line to see how their team does with your questions about their system. Looking for a new SIS? Click here for six questions to ask while you shop. With a cloud-based student information system, secure off-site access isn’t just available to tech support. Anyone with an SIS account – administrators, staff, teachers, parents, students – can login and access their information from any internet-equipped device. School information in the cloud benefits teachers in particular because they can work on lesson plans and grading from any location and any device. This also frees teachers up to collaborate on tasks and adapt future lessons for better student learning. Click here for more ways that lesson plans in the cloud can help teachers. Communicating with teachers, parents, students, staff and other community stakeholders is easy with an SIS that has integrated communication channels like email. Further, a system that also has an integrated app or online parent interface created by your SIS provider can keep families engaged and informed about everything from attendance and assignments to school events and fundraisers. If your current student information system doesn’t allow you to reach all of the important members of your school community quickly and easily, investing in a new system will pay immediate dividends by saving your team valuable time and effort. Are you using the right channels to connect with your community? Learn more here. If your current SIS doesn’t support online admissions, you’re missing a crucial opportunity to benefit your families, your staff, and even your bottom line. Simplifying admissions by moving the process online reduces the effort required for families to apply, which is one of the quickest ways to boost enrollment according to the Education Advisory Board. Also, online admissions makes data available to school staff that they can use to increase the number of applying students that enroll and improve retention over time. Click here for more on the benefits of moving your school admissions online. A modern SIS can assist your school financially in other ways besides boosting enrollment. The right system with integrated payment processing will process bank account debits and major credit cards with minimal overhead. Using an all-in-one system lets parents keep track of tuition and pay for incidentals like books and uniforms in the same place they check their student’s grades and attendance. Click here for more on controlling payment processing for schools.